Nowadays with two kids, monthly date nights are an absolute necessity for us. If for nothing else than that we remember what it is like to eat a meal without a guaranteed interruption each time we attempt to say more than two words to each other. Not getting up to refill a milk cup every five minutes is an added bonus. Recently we had a bummer date night. The conversation was great, the weather was lovely, but the meal was a disappointment. The food itself was actually decent but the service was incredibly slow, the portion sizes were off, and it was definitely overpriced. Oh, and the herbal-infused cocktail I ordered tasted like I was eating an actual basil plant. Enjoying a bit of time to ourselves was the silver lining to be sure, but it still frustrated me to waste a precious date night on an undeserving place when there are so many more restaurants we are excited to try. 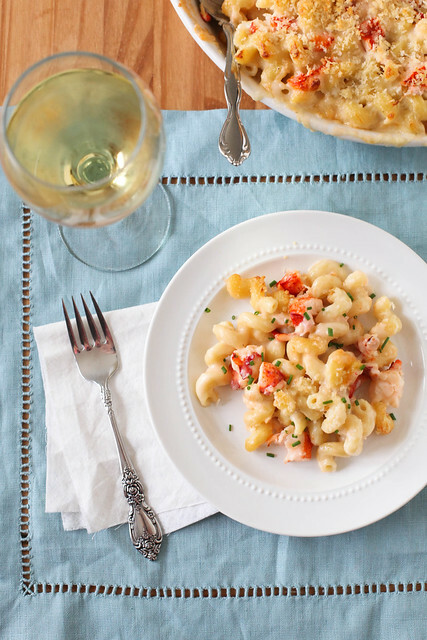 In fact, I was so bothered by it that the following evening I decided to make this lobster mac and cheese as a special meal. A sort of do-over of what should have been a fabulous meal the night before. 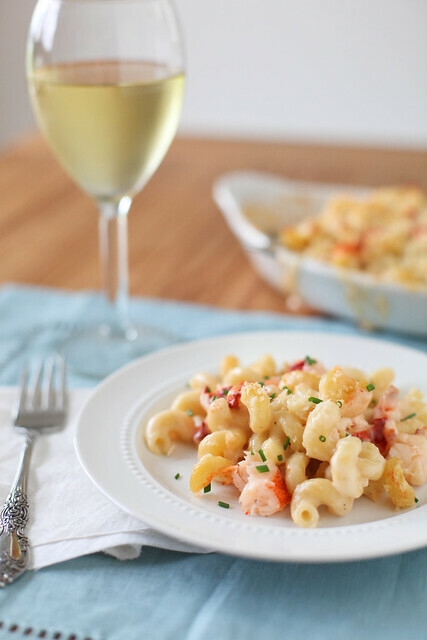 As you might expect from a rich creamy mac and cheese with chunks of tender lobster that happens to pair perfectly with a chilled white wine, this meal did not disappoint. It’s certainly a splurge for a special evening, but it was the perfect thing to enjoy in the comfort of our own home after putting the kids down for an early bedtime. Even if 90% of our dinner date conversation centers around how totally smitten we are with the two little animals we have created, we wouldn’t have it any other way. Bummer date night rectified. Preheat the oven to 400˚ F. Lightly grease a 2-quart baking dish or individual gratin dishes. Bring a pot of water to boil. Cook the pasta until a few minutes shy of al dente according to the package directions. Drain well in a colander. While the pasta is in the colander, return the pot to the medium heat. Melt 3 tablespoons of the butter in the pan. Whisk in the flour and cook, stirring constantly, until light golden brown, about 1-2 minutes. Slowly whisk in the milk in small additions until completely added and no lumps of flour remain. Stir in the salt, pepper, and nutmeg. Continue to heat, stirring frequently, until the sauce bubbles and thickens, about 5 minutes. Once bubbling, cook for 2 more minutes, stirring constantly, scraping the bottom of the pan to prevent burning. Remove the pan from the heat. Stir in the cheese and mix until completely melted. Return the pasta to the pot and mix to coat well with the cheese sauce. Gently fold in the lobster meat. Transfer to the prepared baking dish. In a small bowl, melt the remaining 1 tablespoon of butter in the microwave. Stir in the panko and toss until the crumbs are evenly coated. Sprinkle the crumb mixture over the pasta in the baking dish. Bake uncovered for about 20-25 minutes or until the top is browned and the cheese is bubbling. Serve warm topped with fresh minced chives, if desired. 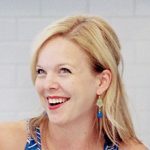 **Scared of cooking lobster? I promise, it’s not hard! I have a simple step-by-step on broiled lobster tails here. slightly adapted from Ina Garten via Smells Like Home.